The three writers Patrick Mbeko, Charles Onana and Pierre Pean who promote in their different publications an alternative narrative of the tragedy that engulfs the Central African region since the early 90s, were in Lausanne on March 21st. I traveled there to listen to Onana and Mbeko particularly because I strongly support Africans’ intelligence when our competence is at work writing our own history, and not letting our experiences, positive or negative, be told to the rest of the world by our exploiters. 1) They revisit the official narrative of the Rwandan and Congolese tragedies, since it is presented as the only acceptable story on the terrible events millions of Africans continue suffering from. Their books have plenty evidence which contradict the line of interpretation that mainstream media has so far disseminated everywhere. 2) They present the geopolitics of the African continent from different perspectives which complete each other. They finally explain the implication of US, UK, Israel and Belgium in African conflicts of the last 25 years. It will be at the occasion of the 4th Meeting Europe-Africa. European and African heads of states are meeting in Brussels on April 02/03 2014 for discussing different questions of mutual interest. The Rwandan president Paul Kagame will be among the guests. In recent weeks, the Rwandan opposition in exile tried unsuccessfully to bring the main players together. It is a positive outcome for those who remember how little past political coalitions achieved for ordinary people: war, oppression and ongoing misery for the majority. For once, even those political parties which could not sit in the same room, will be there. If you live in Belgium and or can travel there on April 02 or 03, please don’t miss the event. Your contribution to the needed change is indispensable. Contrary to racism that black people generally fall victims of in the Western society where it is publicly decried, a similar but nasty racism against Rwandan Hutus promoted by the regime of Paul Kagame in Kigali is world widely sponsored and celebrated. The picture of the latter is painted on the canvas of the unspeakable tragedy that the Great Lakes region experiences for more than two decades. The lies and supporting motives of that racism are many but this note will focus on one and one only: the unspoken killings of the Rwandan Patriotic Front from October 1st 1990 to July 4th 1994. The period which followed until today has been the object of many books, reports and field researches which document the horrendous atrocities that Paul Kagame and his sponsors have committed in the entire region. 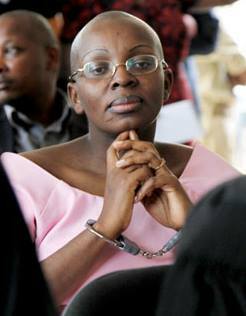 A new organisation has been recently created to raise awareness globally about the fate of the Rwandan politician Victoire Umuhoza Ingabire and other prisoners of conscience in Rwanda. To find out more about that organisation – Friends of Victoire [FoV] please click here. “The symbol of women selflessness, honesty and determination – Victoire Ingabire is a woman of exceptional courage. She has distinguished herself by her leadership, her spirit of selflessness which transcends her other interests, for her family, her career. Victoire Ingabire Umuhoza took upon her shoulders the destiny of her people and of her nation when she decided to confront the oppression prevailing in her country of origin, in the hope of providing an alternative to the Rwandan people with democratic governance and a lasting peace. The Rwandan genocide, – I insist on this for those who are interested to know, – the way it is being explained to the world, it is full of lies. They are lying, they are lying, I repeat, that is not the truth. Professor Charles Kambanda is a dissident voice against the government of Kigali. He is particularly adamantly opposed to the perpetual lies from the regime of Paul Kagame on the official narrative of the genocide of 1994 as widely and extensively promoted by the Rwandan Patriotic Front. In the following lines, which are from a translated transcript of an interview in Kinyarwanda he had with Serge Ndayisenga on Radio Itahuka, he expresses his outrage and explains, among other things, that what has been acted upon and promoted so far around the issue of the victims, was initially engineered in Uganda but failed to succeed with Joweri Museveni. “You see, the crime of genocide has become a political crime in Rwanda. Normally there are political crimes like treason, i.e. planning to remove the government from office. From this one can understand that genocide as a crime has become a political one. It is used politically. It is part of political tools and aimed at intimidation, stopping people from claiming their rights. It is almost the only reason it was established [looking at the way it is used – my emphasis]. Let me go back and refer to a conversation I had recently with someone at the Security Council, one of the important officials at the UN. We were talking about how the genocide law is used in Rwanda. Kagame has been using that genocide in the way which arranges him mainly with a purpose of remaining in power. The Rwandan genocide, – I insist on this for those who are interested to know, – the way it is being explained to the world, it is full of lies. They are lying, they are lying, I repeat, that is not the truth. 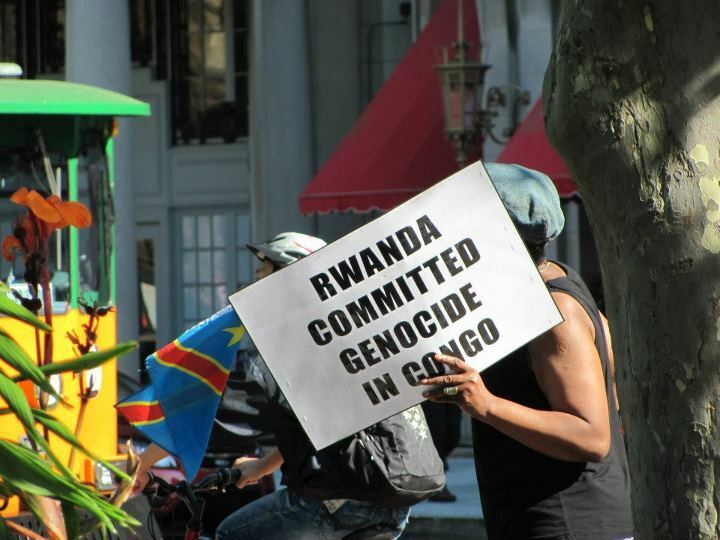 They are lying when they claim that it is genocide against Tutsis only, they are utterly lying. Genocide means that in such crime, there is evidence of a clear deliberate intention to totally eliminate one ethnic group, to plan such objective, and to operate criminally with such mindset, because [members of that group] are who they are as people, because of what they believe in, or the way they live [their culture]. When you consider this understanding of genocide, and then come out and claim that the Rwandan genocide was only against Tutsis, you become a malicious liar. Facts which are today available on how events took place in Rwanda, nobody could pretend they don’t know that genocide was committed against both Tutsis and Hutus. Anybody who wants to take me in front of a court for advocating this truth, claiming that I am a genocide denier, I am ready to defend my position on the issue. I have available plenty evidence and witnesses to back up what I am saying.